The captain of the Real Sociedad suffered in Mestalla against Valencia a "grade 3 injury in the right adductor muscle". The worst omens are fulfilled with the injury suffered by Asier Illarramendi in Mestalla. The captain of Real Sociedad had to leave the game against Valencia on a stretcher with obvious gestures of pain. Then, in the Valencian locality, the doctors of the txuri-urdin team feared the worst and already spoke of a break in the adductor of his right leg. And that has been confirmed after the complementary tests that have been practiced on the return of the realistic team to San Sebastian. The midfielder Mutrikuarra will have to be around two months away from the playing field. Asier Illarramendi presents "a grade 3 lesion at the level of the proximal insertion of the adductor longus muscle of the right hip" , specifically points out the medical part issued by the realist doctors, who avoid giving approximate periods of recovery, although the fact that this same injury has also suffered Mikel Merino gives an idea of how long the realistic captain will have to be off. The Navarre needed two months to recover and return to the playing fields, so it is understood that Illarramendi will need that period to return to the dynamics of the team and that Imanol Alguacil can count on him again. For now, as explained by the doctors, "has begun treatment through physiotherapy," and his "return to normal activity will be progressive and depend on the clinical evolution of the process." The bad thing about Illarramendi's injury is that it arrives at a time of the season in which there are several days during the week, so you will miss more games than you would like to Alguacil and what would be normal in a few days with one game per week. The mutrikuarra will not be able to play in the matches in Anoeta against Leganes, which is the next game at home; Atlético de Madrid, Levante and Betis. And he will not be able to play in visits to Girona, Sevilla, Valladolid and Vito against Celta. 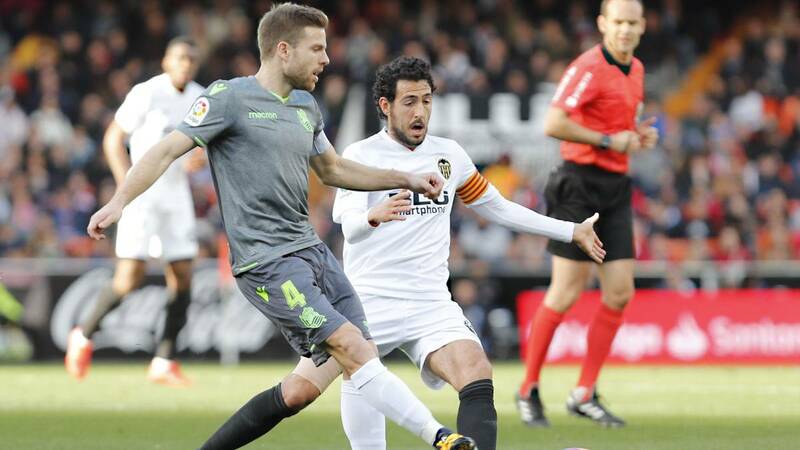 If there are no setbacks in his recovery, it seems that Illarramendi could be able to return to the pitch in the Gipuzkoa derby against Eibar in Anoeta on the weekend of April 14. And in case it is delayed the same should wait for the visit to the Camp Nou against Barcelona on April 21, during Holy Week. Although it would not be ruled out that if he goes right to work with the group, Alguacil will reserve it for the match of the next day, which is a week in Anoeta against Villarreal, although in that case it would already exceed two months of recovery.